Quick: name a German wine. And not for nothing: Germany is by far the world’s biggest producer of the noble grape, as well as the international benchmark for Riesling styles and excellence — from delicate, shimmering off-dry Kabinetts, to complex, dazzling dry versions and to mind-bending dessert wines. German Riesling has also been a cause célèbre of sommeliers and wine writers here for over a decade, moi included. Sure, Riesling is Germany’s signature grape. But there are other outstanding varieties from Deutschland worth getting to know, especially from the Pinot family of grapes, namely Pinot Noir, Pinot Gris and Pinot Blanc, among others (Pinot Meunier, Auxerrois). In terms of tradition, quality and recent growth, this Pinot clan is second to none. 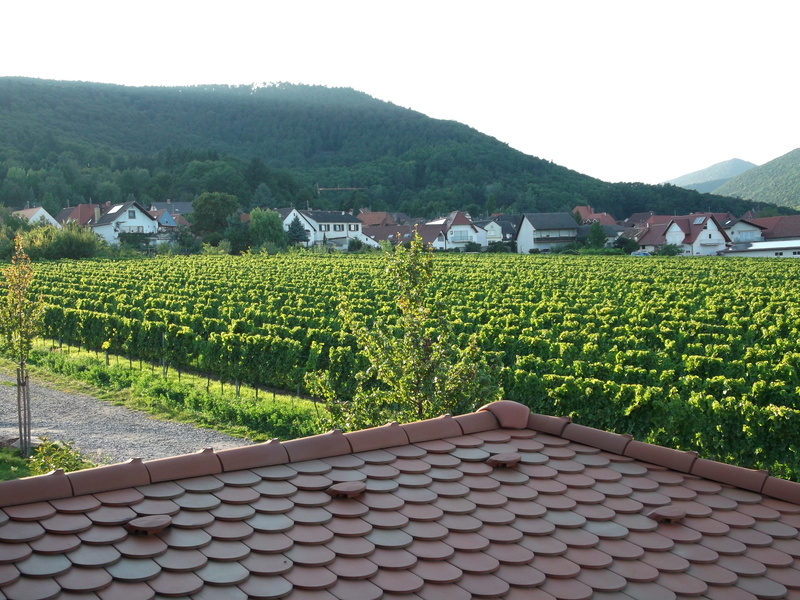 During a recent visit to Germany, I got some welcome guidance from the German Wine Institute to explore this Pinot trifecta, and I tasted my way through the warmer, Pinot-friendly appellations of the Pfalz, Rheinhessen and Baden. To cap off the trip, I participated in the stellar Erste Lage (Grand Cru) tasting of the German Praedikat Wine Estates (VDP) in Wiesbaden. What Riesling is to German whites, Pinot Noir (Spätburgunder) is to reds: the most planted (red) grape, yielding esteemed, elegant wines, both for the German market and, increasingly, to international acclaim. Surprisingly, Germany has the third largest Pinot Noir cultivation in the world, based on insatiable domestic demand…and aided by a warmer climate (courtesy climate change!). 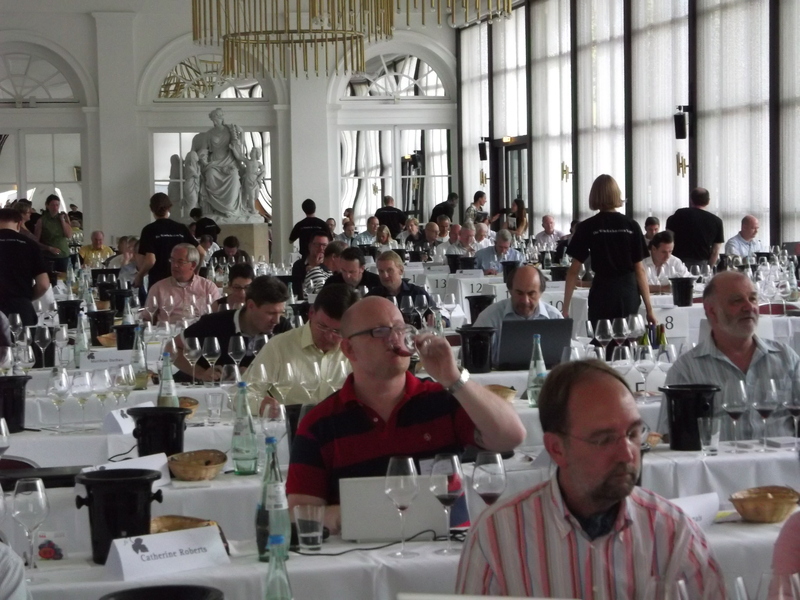 The quality of Spätburgunder has increased dramatically in recent years, partly due to a string of exceptional vintages, but also because of the international training a new, younger generation of vintners has received in places of Pinot excellence, like Burgundy, France. 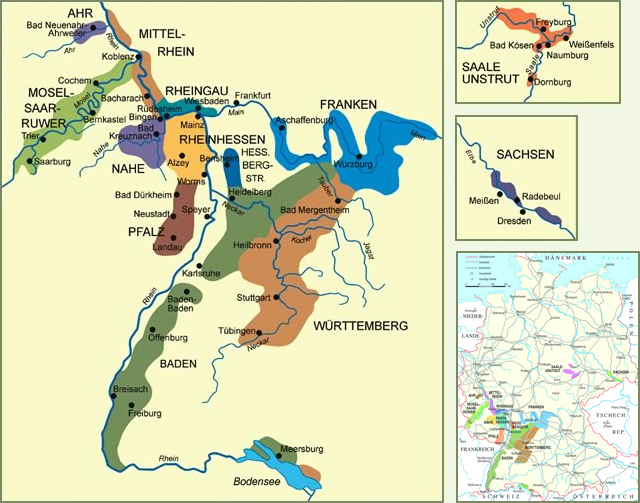 Although grown in all German wine districts, around half of all the Pinot Noir comes from Baden, the warmest region. At its best, German Pinot Noir is vividly aromatic, with dark cherry and berry fruit character, smooth structure and a (generally) lower degree of tannin, built for the table. Brawnier, barrique-aged versions are appearing, to the applause of a thirsty German public (not so much from me). Pinot Gris, a.ka. Pinot Grigio (Grauburgunder), is an “it” grape on the international scene, with a big following stateside (see my previous post). In Germany, it’s a well-established, traditional grape that’s experiencing a renaissance across the country. Two approaches dominate: as a light, fruity and dry aperitif wine, or as a richer, full-bodied yet dry wine that’s been barrel-fermented and/or barrique-aged, well-suited to robust cuisine. Ruländer, a rich, sweetish version of Pinot Gris, still exists, but is fading away. Pinot Blanc (Weissburgunder) sports a broad palette of clean, heady fruit, ranging from citrus to pear to nectarine — sometimes within the same wine — along with a delicate nuttiness. Versatile and food-friendly, it performs well in sparkling wine (Sekt), too. The excellent overall quality of German Pinot Blanc was a highlight. Here are some of my Pinot-family recommendations, which should be available on this side of the Atlantic. Palatinate Forest. Messmer benefits from varied soils and microclimates, which show through in their elegant, mineral-driven wines. Like the bright, spicy apple Grauburgunder 2010 Kabinett, and the intense, stony “Im goldenen Jost” Weissburgunder 2008 Grosses Gewächs (GG, i.e “Grand Cru”). 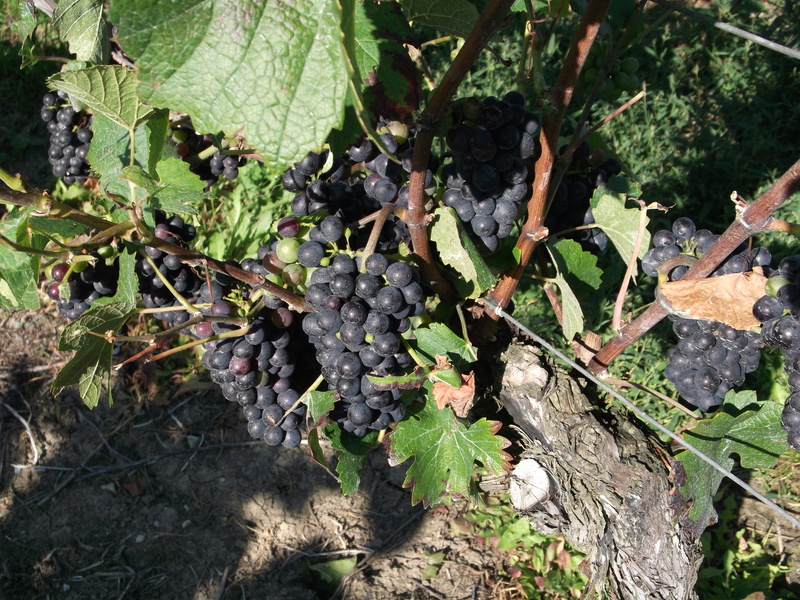 From ancient limestone soils they also make some nice, aromatic Pinot Noirs. combining energy and focus, minerality and fruit and amazing structure and length. I was bowled over by the brilliant Ihringer Winklerberg Weissburgunder GG Trocken 2010: lovely stone fruit, gala apple and citrus aromas, on a racy, mineral-rich frame, finishing clean and long. And the intense Ihringer Winklerberg Grauburgunder GG Trocken 2010, redolent of spicy pear tart, a laser beam of juicy orchard fruit and energizing acidity. Heger’s weathered volcanic outcroppings are also ideal for Pinot Noir, where it achieves great ripeness, concentration and depth, like the cellar-worthy Ihringer Winklerberg Spätburgunder 2008 GG Barrique Trocken. These world-class wines fall into the $40-50 range, and rate as true bargains. 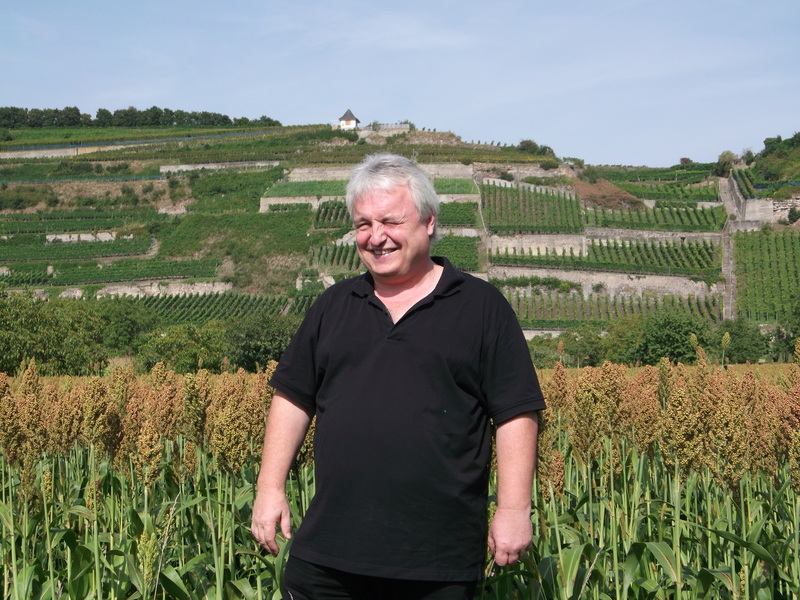 Fritz Keller, Baden’s best host and wine impresario, is the owner of Weingut Franz Keller in Vogtsburg (Kaiserstuhl), as well as a celebrated restaurateur and hotelier and one of Europe’s savviest wine collectors and distributors. Keller’s philosophy is simple: wines + food = harmony & > pleasure at the table. Accordingly, he prefers wines with clean, clear fruit, and restrained use of wood. 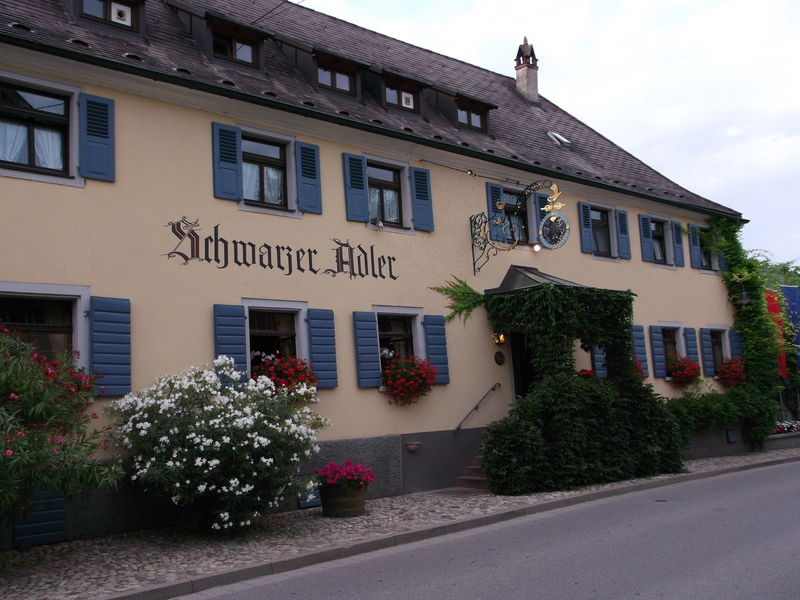 Over dinner at his country inn, Winzerhaus Rebstock, his wines showed true, including the fresh, citrusy Oberbergener Bassgeige Weissburgunder 2010; the stunningly complete, full-bodied Oberbergener Bassgeige Grauburgunder “Steinriesen” 2010; and the elegant, earthy Spätburgunder “A” 2006, a perfect pairing for roasted veal with a chanterelle cream sauce. 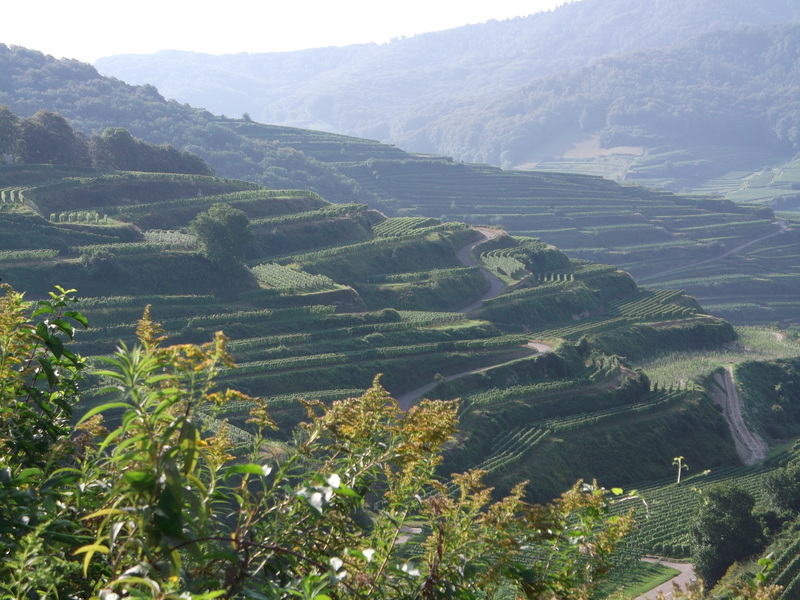 We all could stand a little more Pinot pleasure, and Germany’s a great source for it. This entry was posted in Travel, Wine, Wine + Food and tagged Baden, Dr. Heger, Erste Lage, Franz Keller, German Wine Institute, Kaiserstuhl, Messmer, Pfalz, Pinot Blanc, Pinot Gris, Pinot Noir, Schwarzer Adler, VDP. Bookmark the permalink.